Clockwork Knight 2, known as Clockwork Knight: Pepperouchau no Daibouken Gekan (クロックワークナイト ペパルーチョの大冒険 下巻) in Japan, is a side-scrolling platformer video game released for the Sega Saturn in 1995. The game focuses on Sir Tongara de Pepperouchau III ("Pepper" for short). He is the lovable (but clumsy) toy soldier (one of many in the house) that is owned by the members of the household. He is fiercely in love with the Clockwork Fairy Princess, Chelsea, whose voice wakes up the toys of the house, every night at midnight on the dot. However, his aforementioned clumsiness can sometimes make him something of a laughing stock, especially when compared to his friendly rival Ginger, who is also after Chelsea's heart. However, as fate would have it, Chelsea was stolen away in the previous game by an unknown force, which had also hypnotised some of the lesser toys into fierce minions on a mission to stop anyone from rescuing her. Naturally, if there's no voice to wake them up anymore then the toys will never live again, so Pepper and Ginger head off to find Chelsea before it's too late. The main protagonist and sole playable character in the main game. He's brave, he's dashing, but he's also quite clumsy. At the end of the game not only does he save Chelsea but also finds his missing grandfather and marries Chelsea too. Pepper's chief rival and something of a showoff, but works with him in saving Chelsea. At the end of the game he discovers from Pepper's grandfather that Chelsea is really his sister and that his key can wake her up again. He is also playable in US version. Ginger's steed. A horse-shaped clothesbrush, he's quite snobby in thinking he's the perfect horse for the perfect warrior. Pepper's father. He's a bit overly dramatic; he thinks, for whatever reason, that his family has forsaken him. Pepper's highly-respected, if somewhat misguided, grandfather. It turns out he too was under the dark spell like the other lesser toys too. Pepper saves him at the end of the game after defeating the dragon boss along with Chelsea and tells his grandson that Ginger is really Chelsea's brother that only he can save her with his key. Pepper's valet and close buddy, this top is also very consciencious of Pepper and sometimes treats him like a little boy. He leads the way in one segment of a level, and gives suggestions in the Soltian Roulette. Ginger's valet. This bouncy ball will sometimes race Pepper in-game; succeeding gets you a Gold Key, while failing gets you a measly Imperial Crown. Like Prunchau, he also gives suggestions in the Soltian Roulette. Ginger's lord and mentor. All the toys think that the sliding puzzle is a wise old mystic. A hot-tempered perfume bottle who loves music, cards, and games of chance. She even has a big crush on Pepper himself, considering Chelsea to be a rival for his affection. She hosts the Soltian Roulette mini-game that occurs between worlds, also giving suggestions to players like Prunchau and Le Bon do. This young, beautiful doll's voice has the power to wake all the toys every night at midnight. Both Pepper and Ginger compete for her heart. It is her kidnapping that sets both this and the prior game off. At the end its discovered that she and Ginger are brother and sister. She is awaken by her brother's key and then she marries Pepper. The Gameplay style and mechanics for Clockwork Knight 2 closely follows it's predecessor, Clockwork Knight. The game has fully 3D graphics, and doesn't just sit on that fact with numerous segments taking Pepper all over the back- and foregrounds, the paths sometimes having full 90° turns, and fully-polygonal bosses to fight. But to mix up the fun, this game has various things that its predecessor lacks. There are 32 cards scattered around the game, four per level. Collecting all four cards in a level gives players a Gold Key; collecting all 32 gives them a secret code. Beyond that, the levels are fairly large, with numerous areas to check out and get the treasures out of, so exploration is anything but unadvised. There are also some horseback levels to keep things somewhat fresh. These are also 2D in nature, but in them Pepper is continuously going to the right on the back of his steed Barobaro. If one wants to collect something, then they'd have to be fairly quick about it as there would be no going backwards outside of Pepper committing suicide quickly to revive back at the beginning of the stage. Speckled eggs add as objects. Items are often found inside eggs. This game has fourteen levels, four different rooms with two normal levels and one boss each, plus a mini boss and a final boss. After finishing the boss level of a room 5/6/7, the player can play mini-game with Soltia, Prunchau and Le Bon. A smaller, much easier version of the Crazy TV boss fight from the first game starts off the second. The artwork on the face of the TV is different to the version from the first game. This fight is semi-exclusive to the original Japanese and PAL releases of the game, and the only way to fight this version of the boss in the NTSC release is to enter a cheat code to play the game as the Knight known as Ginger. This is something of a playroom; tons and tons of colorful toys around, with large towers made of blocks and some race car tracks to ride Barobaro on. The boss is Funky Snaky, a rockin', floating snake made up of wooden blocks, a castanet and spiked balls with a microphone on the tip of its tail that doubles as its weak spot. It weaves around the tower Pepper is on, stopping to pose with the microphone up to its mouth every now and then. Most of the boss fights share this uniqueness to them, ranging from said snake to a piece of paper that morphs into various animals to an entire toy castle that's watched too many Transformers TV shows. After not finding Chelsea in the Kids' Room, the player makes their way back through the house via the Study Room. This is much jazzier than the prior room, not only in music but in tone as well. Things are much darker as you go about the candlelit desktops, opening and closing books and launching toy rockets at enemies in the background that you'd otherwise be facing later on. The boss is Paper Morphy, a page from a neglected book that likes to impersonate animals. The now completely destroyed "Crazy TV" boss can be seen in the background of this boss fight. Moving back into bright areas for a while, most of this level is situated on or around the bath tub, with a few exceptions (such as one point where Pepper goes all the way up to the ceiling on the various plants hanging from it). Watch out for the hot water, it can really sting... The boss is Captain Octopus, a giant, soap-throwing pirate toy octopus. Gears, pipes and oily platforms abound up here, as the search for Chelsea nears its close. You can change the direction of how some things turn, but that may not always be beneficial... Plus, it being a tower, there's an awful lot of long drops to worry about. The boss is King Gears, a large castle that transforms into a cruel beast with powerful arms and the ability to dispense enemies onto the battlefield. This stage can only be fought when playing it on Normal or Hard. This is the very end of the game - a final one-on-one battle with Garluch the Dragon, a behemoth of a creature composed of various bits (such as umbrellas, a teddy bear, and Pepper's grandpa! ), who puts up a fierce fight in order to keep Chelsea. You bet your Imperial Crowns on the likelihood of your getting something from a roulette of various things (ranging from more Imperial Crowns, 1UPs, 3UPs, to Pierron faces, which gain you squat). After betting 5, 10 or 15 Imperial Crowns, the roulette boxes will reveal the contents (the amount of everything varies depending on how much you bet) then go for a quick spin, after which you choose which box you think has what you want. If you get something you can keep it, or spin again for a double-or-nothing round (this can be done four times, with the amount of doubles going down by one each time). It's certainly not a bad idea to play this, as the later levels can be pretty tricky. It is the sequel to Clockwork Knight, a launch title for the Sega Saturn that also was released in that year. Clockwork Knight 2 is often labeled as "Part 2", symbolising the fact they are essentially two halves of the same game. Both share much of the graphics and music and have identical gameplay. The original Clockwork Knight is often considered to be the lesser game, mostly due to the fact it was rushed to become a launch title. Clockwork Knight 2 had a much healthier development cycle, allowing for much improved graphics and levels set on Pepperouchau's steed, Barobaro. There was a second sequel, Clockwork Knight: Pengin War, which never made it past the beta stage. Another possible sequel, titled Knight 'n Knight and scheduled to appear on the GameCube as an RPG, was never released. 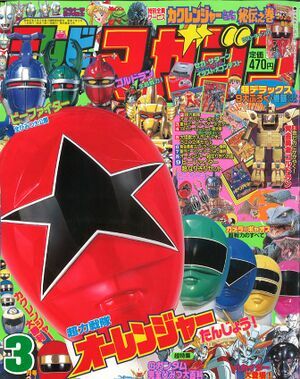 Front cover for the 03/1995 issue "TV Magazine" advertising the contest. Sometime in early 1995, during production of the game, it was decided that the "Clockwork Knight Illustration Contest (クロックワークナイト・イラストコンテスト)" would be held. The game's producer Noriyoshi Oba would contact "Mr. Sahara (佐原氏)" from the Editorial Department of Japan's TV Magazine (テレビマガジン), and the contest was first advertised on the front cover of the March 1995 issue as "セガ・サターンクロックワークナイトイラスト大コンテスト" and simply "クロックワークナイトイラスト大コンテスト" on the Contents Page. What prize(s) where on offer is currently not known, but the presumed winners of the contest had their names and illustrations shown during the credits of the NTSC-J version of the game. Said illustrations can be seen here. The contest itself, "Mr. Sahara" and TV Magazine are mentioned by Noriyoshi Oba in the "README.DOC" file found on the Disc for the Japanese version of the game, which is discussed below. TV Magazine was also thanked as "テレビマガジン編集部のみなさん (TV Magazine Editorial Staff)" in the Japanese Version credits under the "Special Thanks" section. The NTSC (US) version of Clockwork Knight 2 is based on Clockwork Knight: Pepperouchau no Fukubukuro with "Part 1" removed. As it is based on Fukubukuro, the game contains additional modes such as The Movies! and Bosses Galore, both of which are missing from the European and Japanese versions of the game. One thing to be noted in the NTSC (US) version is that just like Fukubukuro, the "A Lullaby" ending video and even credits screens are missing, and after beating "Part 2", you are simply returned to the main title screen after being shown the ending video and the screen showing how many cards you collected during your play. On a special note, the Disc for the Japanese version of the game contains an easter egg in the form of an .DOC file titled "README.DOC", which when viewed contains messages from the team that developed the game, all in Japanese. This file can be seen here. Main article: Clockwork Knight 2/Magazine articles. The NTSC-U version of the game makes use of the Saturn's internal battery back-up to save data for system configuration. README.DOC TXT 16,087 Messages from the developers. Exclusive to the NTSC-J version. ↑ YouTube video of Clockwork Knight 2 PAL Version Credits. ↑ YouTube video of Clockwork Knight 2 NTSC-J Version Credits. ↑ Clockwork Knight ~Pepperochau no Daibouken - Gekan~ Staff Credits from http://raido.moe. ↑ Clockwork Knight 2 Credits from MobyGames.